Kuala Lumpur — EXO member, Lay was in an accident on the set for Chinese web drama “Old Nine Gates,” where he sustained a back injury on Jan 30. Although the injury was deemed noncritical, Lay has been taking time off to improve his health condition following doctor’s order. 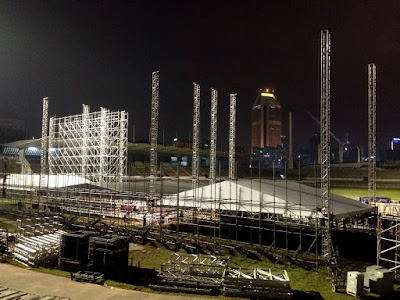 The situation has led to speculations from Malaysian fans on whether he will be absent from the upcoming concert which set to take place on March 12th in Malaysia. Today, concert organizer Star Planet issued a press statement, clarifying that the organizer has not received any notification about Lay’s absence from the upcoming event, which confirmed that EXO will arrive in Kuala Lumpur as planned, with all nine members. 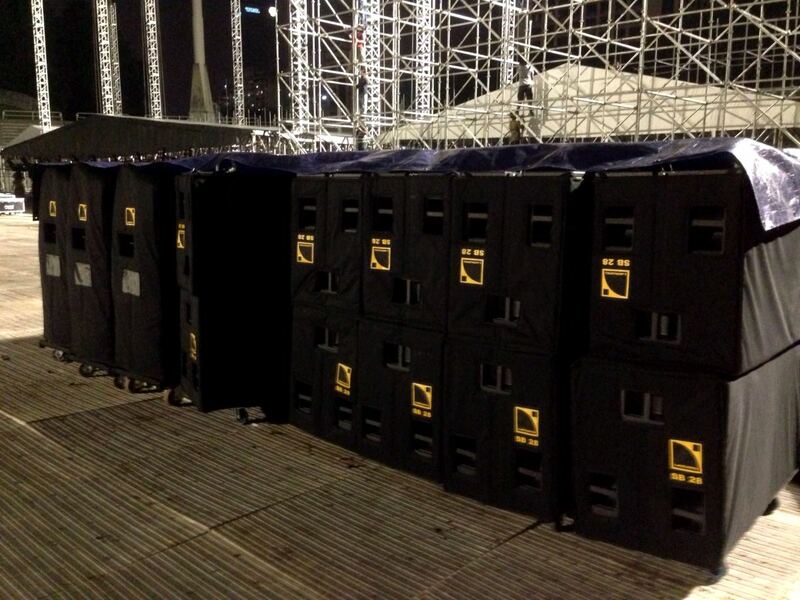 The stage setup kick-started last night with large containers flown in from abroad. Production is ‘epic’, described by the organizer. 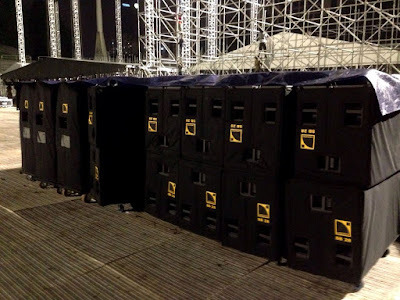 Elements included gigantic high-definition screens, state-of-the-art audio and visual, pyro, hydraulic lifts, mini water pools and stage extended well into the audience. The total production moved on more than 30 trucks with about 300 crew. EXO debuted in 2012 and had rose to fame with the release of their million seller regular album XOXO (2013). Ever since their debut, numerous hits were produced such as “Wolf”, “Growl”, “Overdoes” and “Call Me Baby”. Furthermore, EXO is setting new records in worldwide scale, receiving large number of awards in Korea and China, nominated as Top 1 in K-Pop by American Billboard in 2013, biggest influence in Korea by Forbes Korea Power Celebrity in 2014 and so on. Over 85 percent tickets have been grabbed up and tickets are still moving fast! “Rock zone X, Cat 3, and Cat 5 tickets are sold out and we anticipate it to be a sell-out concert,” said the organizer. Jointly presented by Spritzer Mineral Water and Robsonhill Residency, “EXO PLANET #2 The EXO’LuXion World Tour in Kuala Lumpur is scheduled on March 12th, 2016 at Stadium Merdeka at 8pm. The Malaysia concert will mark as the last gig of their current world tour. Tickets are priced at RM688, RM548, RM428, RM348, RM328 and RM208 (subject to RM4 processing fee). For more information, contact Star Planet 0392233667 / TicketCharge 03-92228811 or visit www.starplanet.com.my / www.ticketcharge.com.my. 1. 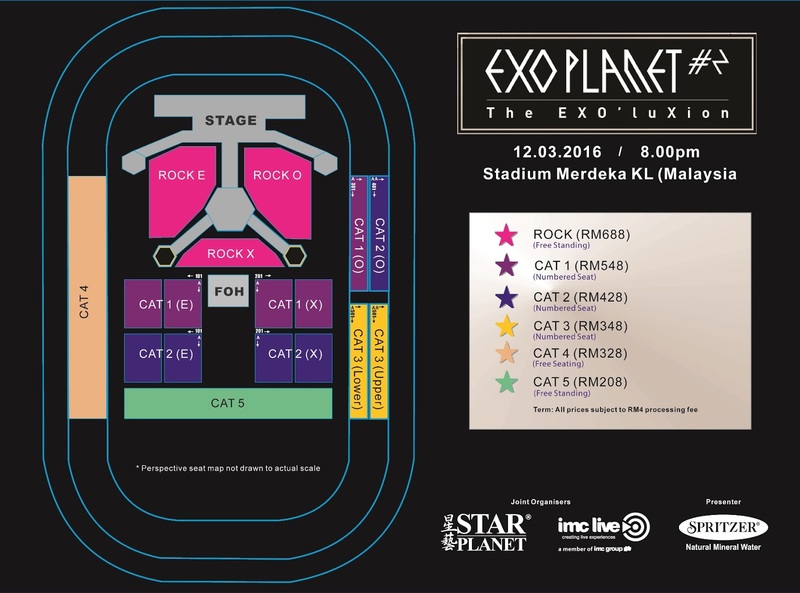 Rock EXO, Cat 1, 2 and 3 tickets - Maharajalela station. 2. Cat 4 and 5 tickets - Hang Tuah station.